To bring this widely acclaimed book completely up to date, the late Bishop Neill's colleague N.T. 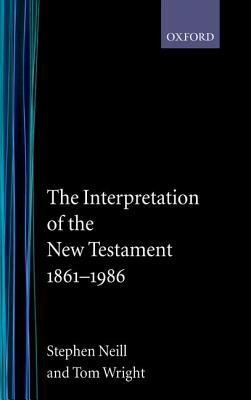 Wright has revised and expanded the entire contents and added a new chapter covering New Testament scholarship of the last twenty-five years. This masterful survey describes the historical development of New Testament criticism, the contrasting personalities of scholars, and the permanent contributions made by various schools, ending with an assessment of the current status of the field.Neill, Stephen is the author of 'Interpretation of the New Testament, 1861-1986', published 1988 under ISBN 9780192830579 and ISBN 0192830570. Loading marketplace prices 6 copies from $33.55 How does the rental process work?